This is a seriously good cake. Not overly sweet. 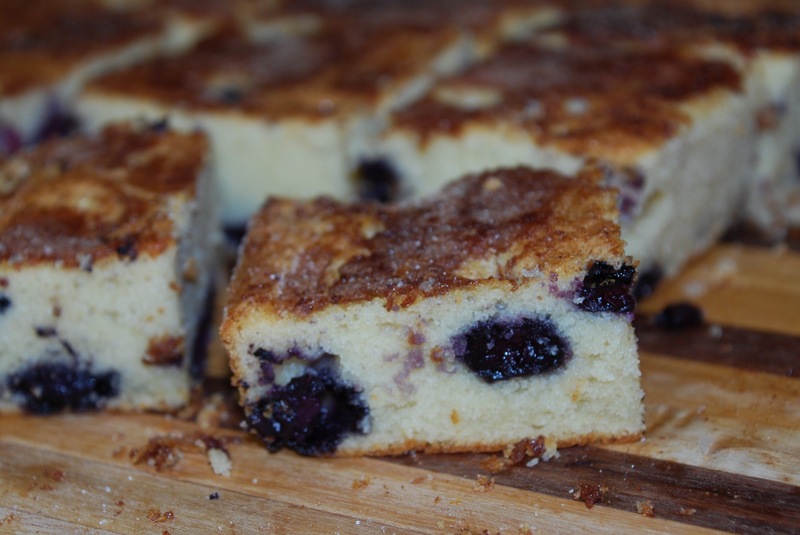 Perfect after dinner, on a hot afternoon with a cold glass of tea or in the morning with your coffee. Easily packs away in your or your kids lunch box. Any way you serve it will be enjoyable! It’s even better the next day. That is if you can bare to save a slice that long. Leave butter on counter for about an hour to soften. If it’s summer in Texas, about 20 minutes on a plate in the shade outside will do. Heat oven to 350 degrees. Grease and flour a 11X13 baking pan. Set aside. Meanwhile, in a medium bowl, mix together the flour, salt and baking powder. 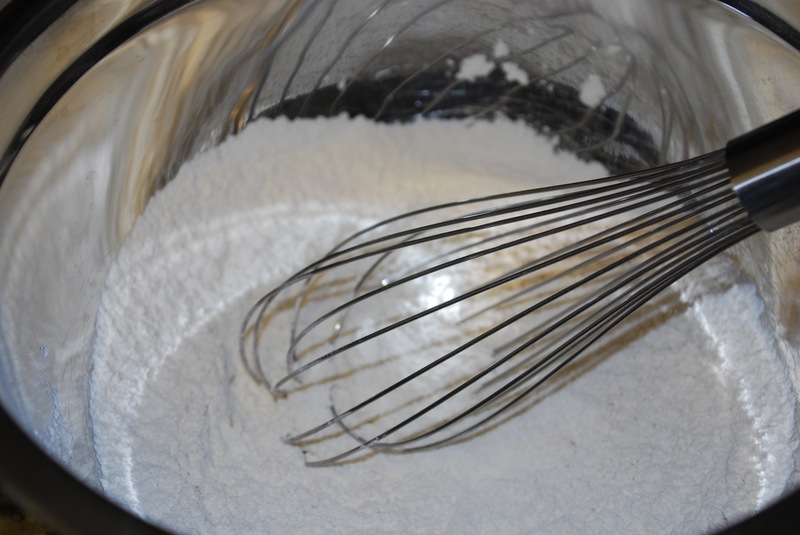 Use a hand whisk to lighten the flour and give it a little air. Set aside. 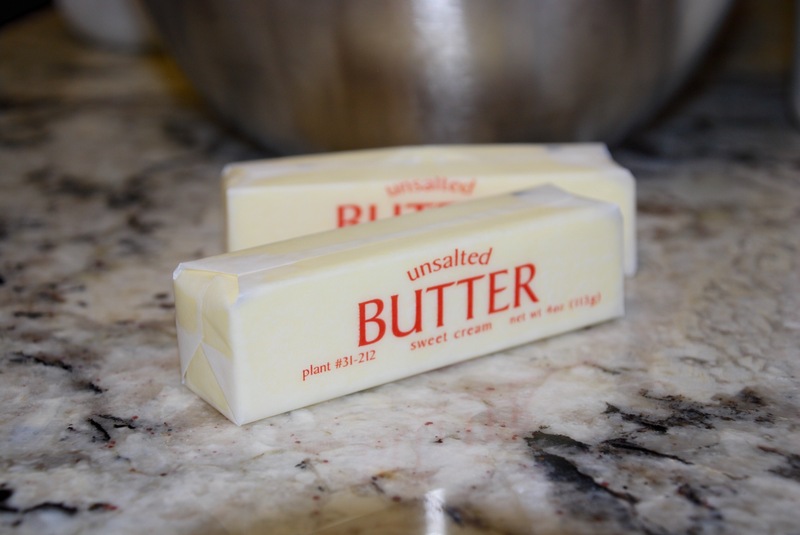 Once butter is softened, add it to the sugars in a large bowl. 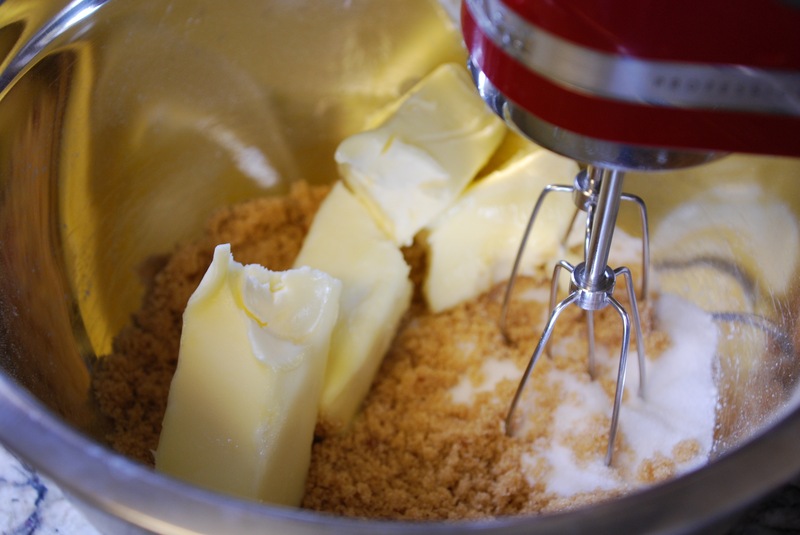 Use a hand mixer to cream the sugars together until a smooth mixture forms. 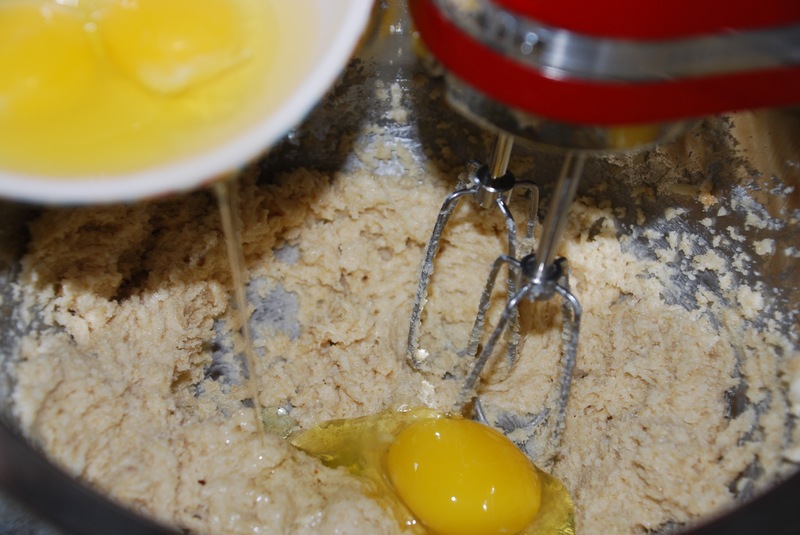 Add cracked eggs one at a time to butter/sugar mixture, beating at medium speed. Add half the flour mixture, then half of the milk. Repeat flour and then milk till all is well incorporated. For fresh blueberries, wash and dry with paper towels. Once dry, toss them with about a tablespoon of flour to coat. Doing this extra step will help keep the berries from falling to the bottom of your cake. (For frozen blueberries, do not defrost or they will make your batter a grey looking mess. Just add them to the cake batter straight out of the freezer.) 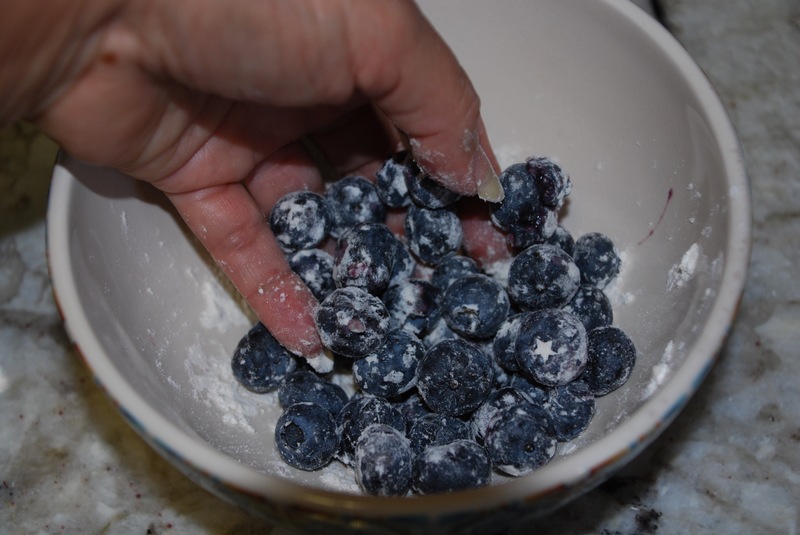 Gently fold berries into the batter. 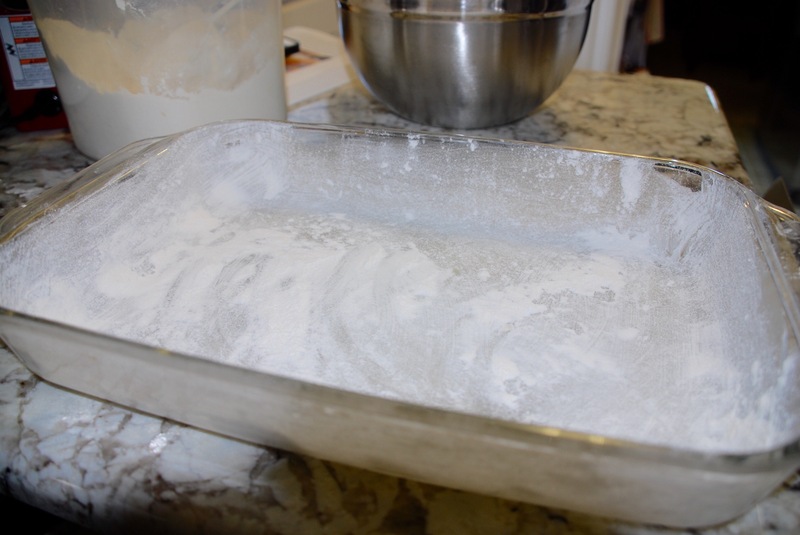 Pour into prepared baking pan, spreading evenly. 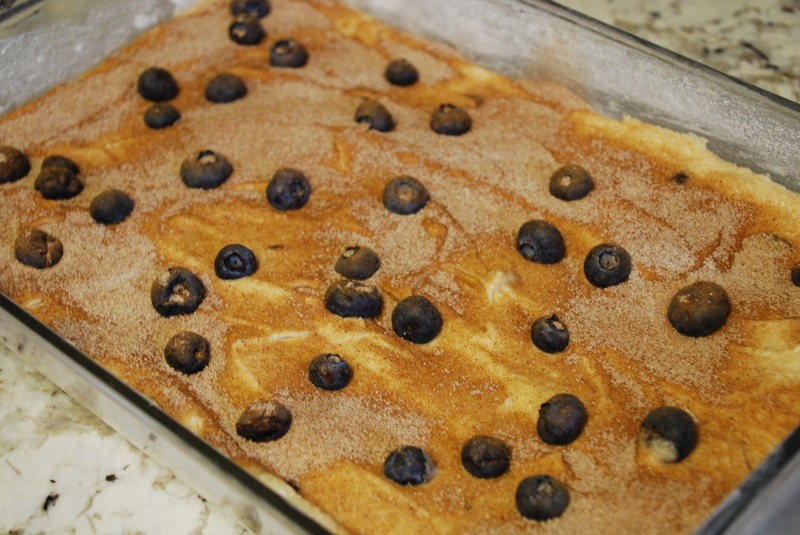 For the topping: In a small bowl, combine the sugar and cinnamon. 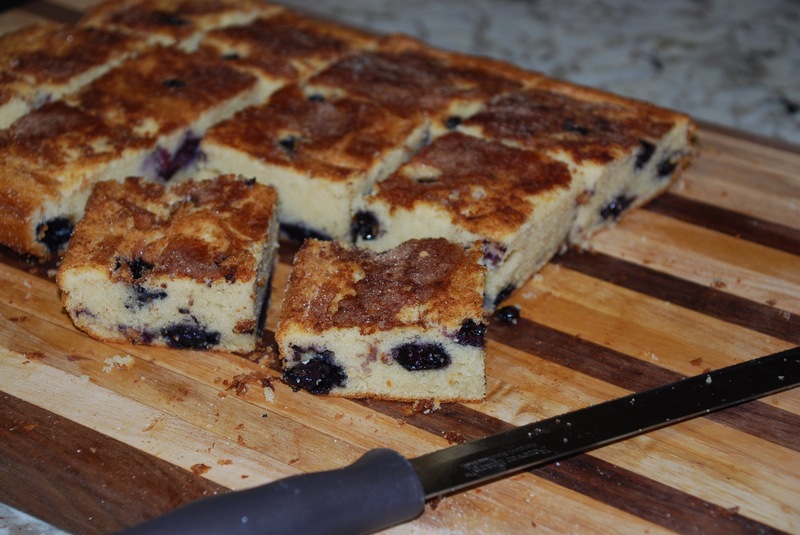 Drop reserved blueberries evenly on top of cake batter. Sprinkle with sugar cinnamon sugar. Bake at 350 degrees on center oven rack for 40-45 minutes until a toothpick comes out clean. Cool about 30 minutes before serving. Little pockets of blueberries will be really hot. Oh shoot! Just dive in if you want! The smell will be amazing!! 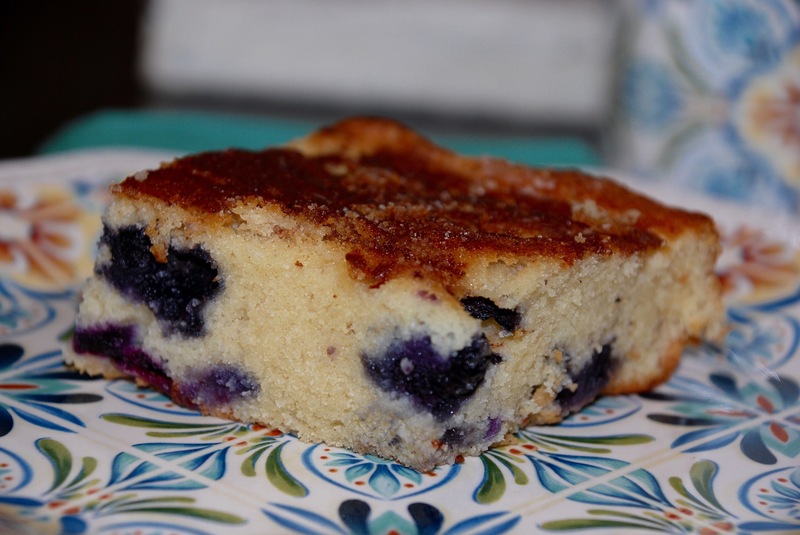 Blueberry Snack Cake is yummy with your morning coffee! Enjoy!! Let me know what you think!